A survey of more than 600 UK GPs and hospital physicians found that only a third believe that any party offers the “best plan for the future of the NHS”. In the survey, the largest group, 42 per cent, selected “none of the above” from a full list of current UK parties, while the Labour and Conservative parties each drew just over 10 per cent of support. The survey was conducted by Doctors.net.uk, the professional network of UK doctors and part of M3 Europe, a global provider of technology services in healthcare. A third of those asked were GPs and the rest hospital doctors, all working in England, Scotland, Wales and Northern Ireland. Over 40 specialities were represented in different levels of seniority in over 100 Clinical Commissioning Groups (CCGs). Healthcare has featured prominently in the general election with party leaders debating funding, GP numbers, access to services and care integration. When asked which party had the best plan for the NHS, 10 per cent selected the Labour party and 10 per cent the Conservative Party, but more than 40 per cent tellingly replied “none”. Support for NHS Party Plans: In your opinion, what party do you think has the best plan for the future of the NHS? The Conservative Party promised continuity in the reforms brought on by the Health and Social Care Act of 2012, which were the most wide-ranging in the NHS since its inception in 1948. The healthcare landscape changed dramatically with the introduction of CCGs and Health and Wellbeing Boards and doctors are still adjusting to the new regime. The Tories pledged to increase annual funding of the NHS in real terms, focusing on “frontline” services – but there is no mention in the manifesto of injecting extra cash into social care. The Labour Party, as well as the Greens, would repeal the current legislation and what they call “top-down” reorganisation of the NHS. Shadow Health Secretary Andy Burnham has talked about a “comprehensive health service” from hospital to home, with the NHS as a preferred provider of services. Labour favours an annual £2.5 billion “time to care” fund for health and social care, financed by taxation. Labour hopes to strike a chord with doctors who want more integration and have concerns about private providers. Both parties are committed to delivering integrated care, which is seen as crucial by the physicians surveyed, but they disagree on how it should be structured and funded. The survey also raises the question of GP numbers. 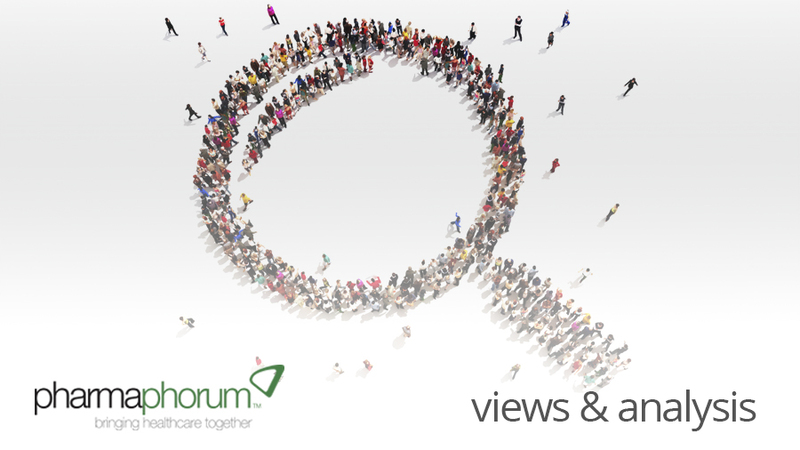 Only 4.3 per cent of UK doctors agree that the GP workforce is sufficient to carry out current responsibilities. A full 20 per cent of doctors said they were considering emigrating and practising overseas and a quarter were planning to decrease their hours in practice. Perceived role changes, increased bureaucracy, longer working hours, plus less time with patients all make working life harder for GPs, according to the survey. Only 32 per cent of GPs were not planning to make any changes to their working patterns. These data confirm a recent BMA survey revealing that one third of family doctors are considering retirement and one fifth of trainee GPs are considering emigrating. The Conservative Party has promised access to GPs and hospitals seven days a week and guaranteed same-day appointments with GPs for everyone over 75 and an extra 5,000 GPs to be trained by 2020. The Labour Party’s plan envisages 48 hours or same-day appointments for those who need them. It claims that it can pay for 20,000 nurses; 8,000 GPs; 5,000 care workers and 3,000 midwives. How has your role as a doctor changed in the NHS over the last five years? What about physicians’ views on the plan created by Simon Stevens, Chief Executive of NHS England? The NHS Five-Year Forward View outlines a shared vision of NHS England and other NHS bodies, of service change and future models of care. Its recommendations focus on prevention and public health, integrated care, breaking down barriers in the system and giving more control to patients over their care plans. Although the research revealed that most doctors agree with integrated care models, a joined-up approach and investing in prevention, the vast majority are wary of change for the sake of change. “Doctors, when asked about some of the models of care proposed in the Five-Year Review, were in general quite positive. However, only around 9 per cent had a positive view on the document itself, which reflects a general cynicism about further NHS change rather than the ideas within the document,” concluded Dr Quekett. The plan recommends several changes in care models, procurement, leadership and other areas and makes a pledge for increased annual funding of £8 billion by 2020 to realise the vision. This complements the £22 billion that NHS England claims could be found by efficiency savings and new ways of working by the end of the next parliament. The Conservative Party and the Liberal Democrats have supported the plan and signed the pledge, but Labour has opted for a different approach. NHS England argues that the NHS will become unaffordable without radical change and has announced 29 pilot areas for new models of care, insisting it does not envisage another restructuring. Broadly the unified vision aims at keeping people out of hospital, providing more “local care”, giving GPs and health visits a bigger role and working closely with social care services. Simon Stevens has defended a “partnership of equals between general practice and hospitals”, which aims at tackling the problem of underinvestment in primary care. The Doctors.net.uk survey shows that many doctors are unconvinced and see the proposal as “just another plan that won’t change anything” or another unwelcome and disruptive reorganisation of an ailing NHS. • 20 per cent of doctors were considering practising overseas and a quarter were planning to decrease their hours in practice. 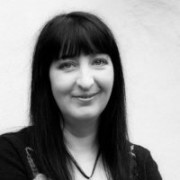 Catarina Feria-Walsh is a journalist and communications expert. A former BBC producer, she has worked as a media relations manager for IHS Global Insight, as a policies and market reporter at Scrip Pharmaceutical, and has been an analyst and writer for other publications. Catarina has media trained and advised executives at pharma companies such as Abbott and Ferring Pharmaceuticals. She writes about healthcare policies and markets, price and reimbursement, market access and media/digital engagement in pharma.